AChoired Taste is based in Horndean Hampshire and currently has a membership of over 150. The choir is relaxed and friendly whilst striving for the highest quality performance possible. Rehearsals take place on Monday evenings from 6pm to 7.30pm at Horndean Junior School. There is a very reasonable charge of £1.50 per rehearsal, which supports the running of the choir. The choir is directed by Lou Bundy and accompanied by Sian Brace. We are delighted to be able to accept new members. Please get in touch via this website if you are interested. 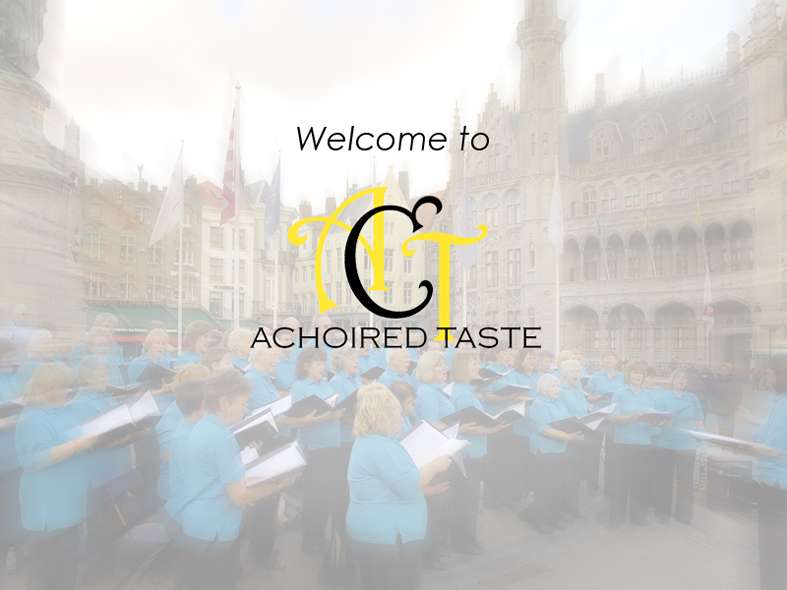 The choir sings music in a range of styles but mainly from the lighter genres such as musicals and popular songs. The choir performs regularly in concerts and festivals and is frequently asked to sing at weddings and other celebrations. The choir aims in rehearsal and in performance to celebrate the gift of music through the joy we, and hopefully our audiences, experience through singing.